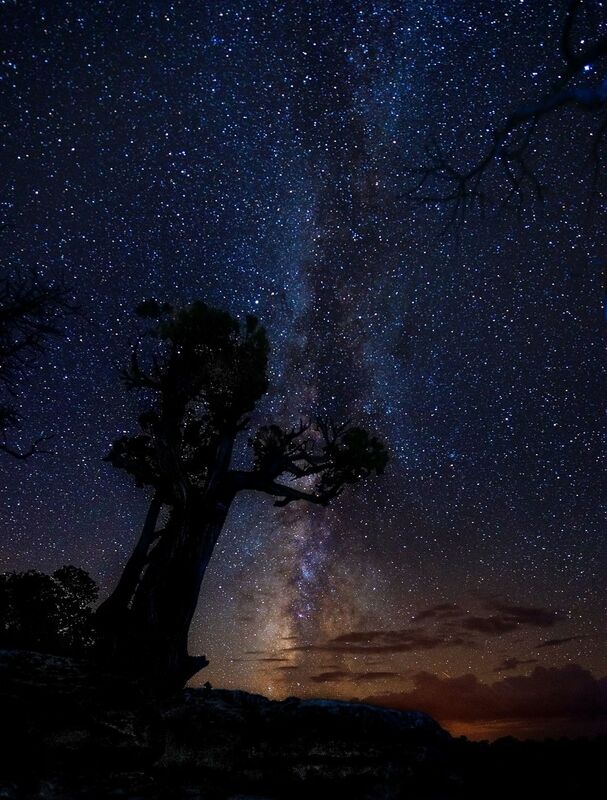 In the dark of the night, I found This bristlecone pine tree standing at the very edge of the Grand Canyon, against the vast Milky Way. Under the tree, there lies the abyss of the Grand Canyon. Knowing these trees could lived for over 5000 years, how much this particular one has witnessed in its lifetime? I am so humbled by all this.